Are you prepared? How do you handle these situations and what are the signs? 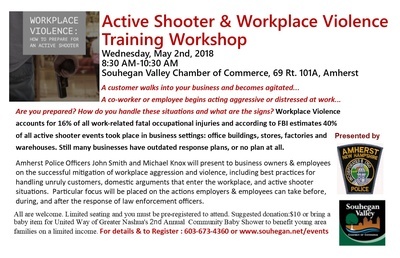 Officer John Smith and Officer Michael Knox of the Amherst Police Department, in cooperation with the Souhegan Valley Chamber of Commerce, will present information to business owners and employees regarding the successful mitigation of workplace aggression and violence. 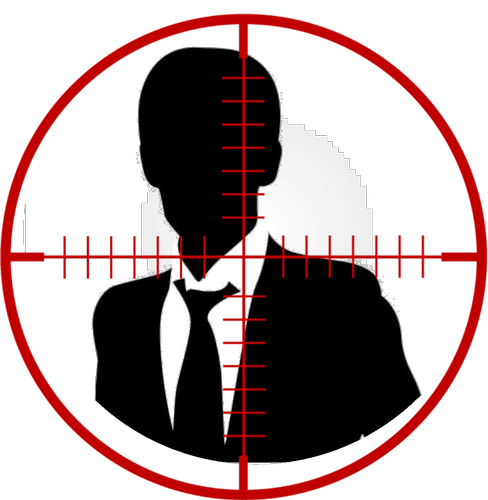 The information shared will include best practices for handling unruly customers, domestic arguments that enter the workplace, and active shooter situations. The 90 minute presentation will include research-based responses for dealing with violent situations and suggestions for increasing workplace safety. Particular focus will be placed on the actions employers and employees can take before, during, and after the response of law enforcement officers. Be prepared and aware...it could save your life,your employees or your customers.